This is a view of the Livery Feed & Sale Stable in Sedan, Kansas. 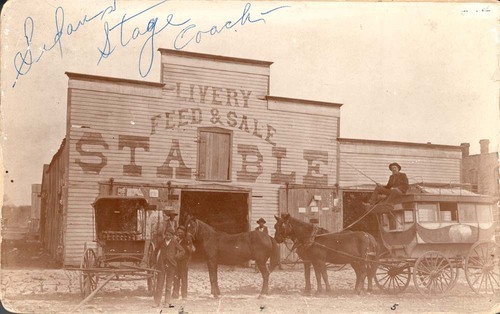 The early day residents referred to the Old Stage (that was Sedan's Taxi) as the "Bus". This served as transportation to and from the depot.